Pasta Styles: Test Your Knowledge of 60 Different Pasta Shapes - How Many Do You Know? You are in Home > Blog > Food & Drinks > Test Your Knowledge of 60 Different Pasta Shapes - How Many Do You Know? 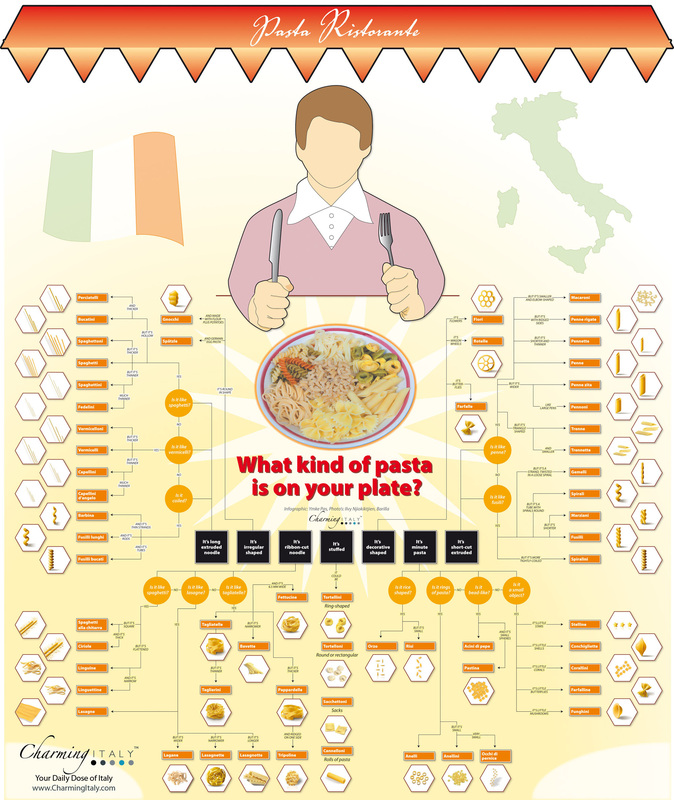 We’ve brought you a few infographics lately that explain the many hundreds of different pasta shapes available in Italy, but the latest to catch our eye is one that will test your knowledge and also allow you to quickly understand the name of the pasta that’s on your plate. It works as a simple flow chart with a few yes or no answers and each step through the chart eventually reveals the different pasta shape you’re looking at. There are so many different pasta styles that even Italians can’t name them all, but this infographic will turn you into a pasta pro in no time. Produced by Charming Italy, the infographic includes 60 different pasta shapes in total and is the perfect place to learn more or test your exciting knowledge of Italy’s favourite food.